On this day in 1943, keyboardist/composer/arranger Richard (Ten Ryk) Tee was born. With vocalists, you can usually identify the singer after they sing one or two notes. You can recognize horn players by their sound – which is their voice – but usually only after they play a couple of bars. For keyboard players it’s much more difficult. Sometimes you may have to listen until they take a solo before a familiar riff lets you know who is playing. Not with Richard Tee. He could play one chord and you knew instantly it was him. Richard Tee is my favorite keyboard player, by far. As I take a journey down a musical memory lane, I find that much of the road is paved with the keyboard of Richard Tee. From the vinyl albums in my father’s collection that I listened to in my youth, to recordings that are now R&B, Soul, and Funk classics, to my own ‘discovery’ of contemporary jazz, Richard Tee is a common thread running through all of it. I had the pleasure of meeting Tee after a concert in L.A. back in the mid-80’s. It was, for me, the unbelievable experience of meeting one of my musical heroes. Tee lost his battle with prostate cancer on July 21, 1993. Fortunately, he left us with a staggering amount of music through his work with the likes of such artists as Aretha Franklin, Tom Scott, Carly Simon, Hank Crawford, Paul Simon, Grover Washington, Jr., and Steve Gadd, as a founding member of the group Stuff, and on his own recordings and arrangements. 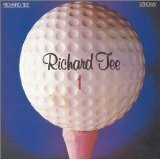 I ran across Richard Tee – Contemporary Piano not long ago. The video starts out as an interview of sorts and winds up becoming more of a master class. At nearly one hour, it is long, but well worth watching, especially if you are a working musician…and even if you’re not. Please join me in honoring Richard Ten Ryk today on what would have been his 70th birthday. Happy birthday, Mr. Tee!